(C) 2018 PIQUEN MEDIA COMPANY. All Rights Reserved. Whether you’re looking to keep your reader base in the know or are dying to get a head start on next year’s hair trend, creamy blonde is slated to be 2019’s standout color. Professional colorists are excited about this pick because of its golden and neutral hues, which are a gorgeous compliment to women of most skin tones. And with continual advancements in hair aftercare, like Joico and Olaplex women can walk away from their salon seats knowing that their hair will stay healthy in between visits. If you’re looking to take this trend head on, we recommend going with a stylist who specializes in blonde dyes since bleaching is particularly stressful on hair follicles. According to Blonde Specialist, Samantha Harman, women who are considering lightening should schedule a consultation with their stylists before taking the plunge. Harman states that, “the consultation–if you are a new client, gives your stylist a chance to see your hair in person and come up with a plan of action. If you are a current client wanting a change, make sure that your stylist knows before you come in so that they can be sure your appointment is booked accordingly. I always ask my clients to bring inspiration photos so that i can see what their goals are, this also ensures that we are on the same page. Your one of your followers fashion favorites. They count on you to tell them what’s hot (and what’s not) in the world of fashion and beauty. A great way to keep your followers engaged and earn you street cred in the space is to mix in the hottest trends with the content you specialize in. 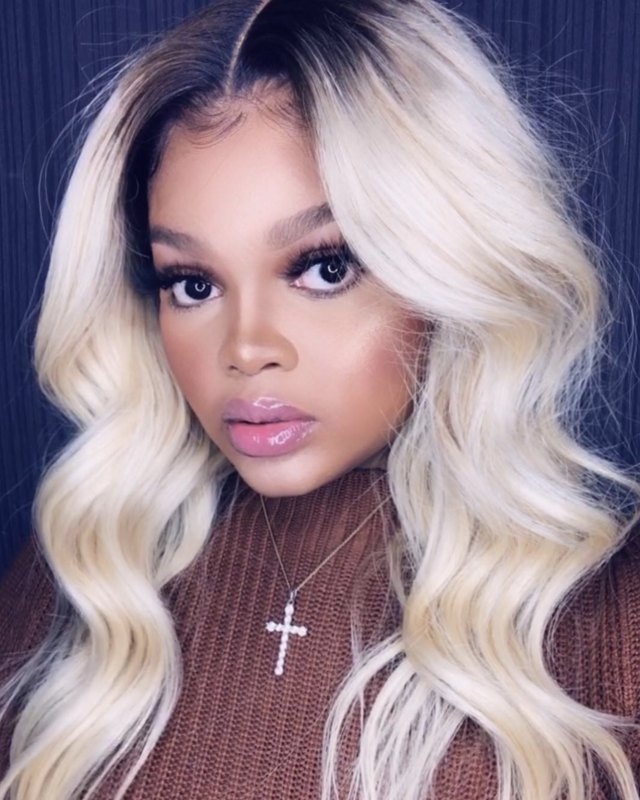 There are a few ways that you can create original content that keeps your followers engaged and informed without having to dye your hair like featuring other girls on the ‘Gram who are rocking the look for WCW, buying or collabing with a wig specialist like @te_coristyles, or using related products to lightly touch on the subject. Zoe Elle is an influencer inspired bohemian lifestyle marketplace for confident women whose style radiates through life and work. Think of us as your favorite subscription box reconceptualized. Inspired by the traveler, the adventurer, and the creative whose risk taking ideas create magic. Our platform features influentially fearless partners who genuinely embody our ideals. While they are unapologetically confident, our influencers and brands exude humility as they live to enrich the world around them. Everyday, they live in their purpose as beautiful inspirations to thousands of young women across the world. They are our generation’s creators, dreamers, travelers, and adventurers. The future truly is female and Zoe Elle is a call for women to dare to be their best selves. © 2019 Piquen Media Company. All Rights Reserved. Influencer news and trends from fashion, lifestyle, and beauty industry experts around the world.